Are you someone who used to be active, before your third child or second job? Or maybe you were coasting, thanks to a great metabolism, until you realized that, um, menopause really does make a difference. Either way, we have the workout for you—one that's easy to embrace but tough to beat in terms of solid results. It's good old-fashioned walking, but with a special goal: to complete a 5K walk at the end of 6 weeks. "Training for a 5K race gives each workout a purpose, so you're more motivated to exercise," says Jenny Hadfield, coauthor of Running for Mortals and the creator of this training program. Having a goal also adds excitement, and walking with a crowd is a lot more fun than hitting the treadmill solo. To make it even more enjoyable, train with your husband, a co-worker, or your best gal pals. Find your Zero-to-5K-Belly-Melt Countdown training plan below. To slim faster, follow our Walking for Weight Loss eating plan. You'll lose up to 6 pounds by the time you pin on your bib number. Even better: Many women fall in love with racing and go on to drop 20 or 30 pounds—or much more. See triumphant stories of some of them below, and then get out there. It's time to walk off the weight, for good! 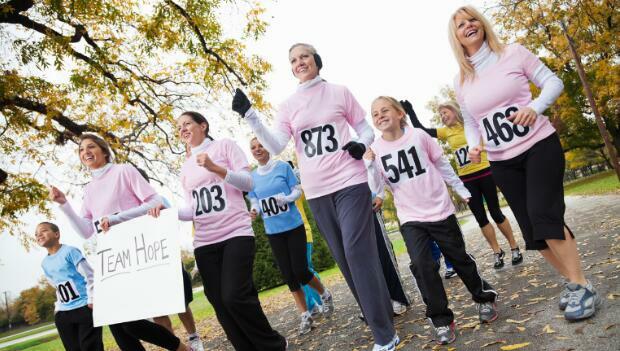 Sign up for a fall 5K today. Go to prevention.com/5k-plan to locate one in your area. Follow the 6-week training plan. Do the stretches and strength moves when noted in the plan. Make sure you have what you need for your workouts with our list of The Best Running Gear. Just coming off the couch? Do these two things before hitting the road. Talk to your MD. "Check with your doctor before starting any fitness program to ensure that you're healthy enough for exercise," says Jordan D. Metzl, MD, sports medicine physician and author of The Athlete's Book of Home Remedies. Do a quick fitness self-assessment. If you can walk 15 minutes at a pace at which your breathing is labored but you're still able to speak, you're ready to train for a 5-K. Too challenging? Start with daily 5-to 10-minute walks and slowly build to 15 minutes 3 or 4 times per week.